WHAT’S THE DIFFERENCE BETWEEN THE HAGUE CONFERENCE AND THE HAGUE CONVENTION? The Hague Conference on Private International Law is the association of all the nations that are members. It is the gathering of all the various governments into one organization. Each member government may or may not be part of a Convention. A Convention is when the government’s (members) get together and agree on the ground rules or laws for a particular topic. The Hague Convention of 25 October 1980 on the Civil Aspects of International Child Abduction is a multilateral treaty, which seeks to protect children from the harmful effects of abduction and retention across international boundaries by providing a procedure to bring about their prompt return. The “Child Abduction Section” provides information about the operation of the Convention and the work of the Hague Conference in monitoring its implementation and promoting international co-operation in the area of child abduction. The United States of America for example is both a member of the Conference and the Convention on the Civil Aspects of International Child Abduction. Japan and Korea are also members of the Conference, but NOT members of the Convention, as of January 2011. There are ongoing discussions for them to join the Convention, but they are not yet signatories to the Convention – which means that if a child is abducted to those countries there is no mechanism for the legal retrieval of the child. CHILD ABDUCTIONS – WHERE TO START A CASE? When a parent, either the custodial or non-custodial parent, prevents the other parent from their court ordered child custody or visitation – that is an abduction. Child abductions are painful and difficult. Most law enforcement agencies are hesitant to jump in to the fight. A parent whose child is being wrongfully withheld or has been abducted needs the support and knowledge of a family law firm attorney who has experience in this area. The first step in an international child custody case is to open a local Missing Person’s case. The Police may not want to do this, and if that is the case, the parent, or their family law lawyers may have to bring in the power of the U.S. Department of State. The Department’s Office of Children’s Issues can and will speak to the local law enforcement if necessary, to have them enter the missing child’s information into the NCIC (National Crime Information Center). In cases where a child abduction or a wrongful withholding has occurred, the parent seeking return of the child must act quickly through their local child custody lawyers. There is a clock ticking, and it starts once a parent knows the location of the abducted or wrongfully withheld child, of twelve months. After the 12 month point, there is a presumption that the child has become settled, has bonded with the abducting parent and that removal at that point will NOT be in the child’s best interests. This can be overcome, but it makes the child custody battle that much harder. CHILD ABDUCTIONS – WHAT’S AN INCOMING CASE? Child abductions – where one parent has wrongfully, meaning in violation of a court order, taken a child from or prevented the return to, the other parent can happen internationally. Each country classifies the case as either incoming or outgoing. An incoming case is where the child has been abducted TO a country, and an outgoing case is where the child has been abducted from a country. Child custody lawyers who work on international cases are familiar with the laws, and the procedures for return of the child. The Office of Children’s Issues also handles incoming Hague child abduction cases – that is, abductions of children to the United States from countries that are partners under the 1980 Hague Convention on the Civil Aspects of International Child Abduction. In addition, our office can assist with abductions from non-partner countries, although our services in such cases are more limited. If you are a parent whose child has been taken to the United States in violation of your parental rights, the Office of Children’s Issues offers services that you might find valuable during this difficult time. This is from the Los Angeles District Attorneys Child Abduction Section. Child Custody Lawyers work in concert with the District Attorneys office on retreival of abducted children, whether it is a local or international case. CAN A FAMILY MEMBER ABDUCT HIS/HER OWN CHILD? Yes! In fact, the majority of abductions are committed by a mother, father, grandparent, or other relative. If you think that a family member who takes his/her child is not breaking the law, you are wrong. CHILD ABDUCTION, EVEN BY A FAMILY MEMBER, IS A FELONY punishable by up to three years in prison and a $10,000 fine. 1. File a Police Report: Interference in your right to have access to your child is a crime and a police report should be taken. THIS IS TRUE WHETHER OR NOT YOU HAVE A CUSTODY ORDER. The report should be made with the police department which serves the location where you live. Make sure that the police also take a missing person’s report on your child, and that they enter the information into NCIC, the national crime information computer system. 2. Obtain a Custody Order if You Do Not Already Have One: Although a custody order is not required to report an abduction to the police as a crime, having a custody order, or at least filing for custody in Family Court, can lead to other resources to assist you in locating and recovering your child. 3. Contact the Los Angeles County District Attorney’s Office Child Abduction Section at (213) 974-7424. We can provide advice on your situation, as well as potentially directly assist you in locating and recovering your child. 4. Contact Other Agencies for Assistance: Numerous private agencies assist parents in locating their missing children. The largest such agency is The National Center for Missing and Exploited Children at (800) 843-5678. The U.S. Congress dealt with international child abductions in 1993. It passed the International Parental Kidnapping Act (IPKA), 18 U.S.C. §1204. The Act imposes criminal penalties on parents who illegally abduct children. For example, it is a federal felony for a parent to wrongfully remove or retain a child outside the United States. Defenses to the crime include 1) The defendant was granted custody or visitation pursuant to the UCCJEA, 2) the defendant is fleeing domestic violence, and 3) the defendant was unable to return a child to the custodial parent because of circumstances beyond their control. Here is the full text of the International Child Abduction Remedies Act as enacted in 1988. For child custody cases that involve an international element, whether wrongful withholding or wrongfully removed from a home state to the U.S. this act will likely play a part in recovery of the child. To establish procedures to implement the Convention on the Civil Aspects of International Child Abduction, done at The Hague on October 25, 1980, and for other purposes. The international abduction or wrongful retention of children is harmful to their well-being. International abductions and intentions of children are increasing, and only concerted cooperation pursuant to an international agreement can effectively combat this problem. (2) The provisions of this Act are in addition to and not in lieu of the provisions of the Convention. (B) the need for uniform international interpretation of the Convention. (4) The Convention and this Act empower courts in the United States to determine only rights underthe Convention and not the merits of any underlying child custody claims. (9) the term “United States Central Authority” means the agency of the Federal Government designated by the President under section 7(a). located at the time the petition is filed. applicable law governing notice in interstate child custody proceedings. decide the case in accordance with the Convention. (B) by a preponderance of the evidence that any other exception set forth in article 12 or 13 of the Convention applies. respect to the return of a child located in the United States, the filing of a petition in accordance with subsection (b) of this section. pursuant to the Convention, in an action brought under this Act. Convention and this Act shall be in addition to remedies available under other laws or international agreements. concealment before the final disposition of the petition. (b) LIMITATION ON AUTHORITY.-No court exercising jurisdiction of an action brought under section 4(b) may, under subsection (a) of this section, order a child removed from a person having physical control of the child unless the applicable requirements of State law are satisfied. for the United States under the Convention. (b) FUNCTIONS.-The functions of the United States Central Authority are those ascribed to the Central Authority by the Convention and this Act. (c) REGULATORYAUTHORITY.-Me United States Central Authority is authorized to issue such regulations as may be necessary to carry out its functions under the Convention and this Act. Authority may, to the extent authorized by the Social Security Act, obtain information from the Parent Locator Service. processing of applications submitted under the Convention. child involved and any accompanying persons, except as provided in paragraphs (2) and (3). local legal assistance or other programs. to the return of -the child, unless the respondent establishes that such order would be clearly inappropriate. (2) may transmit any information received under this subsection notwithstanding any provision of lawother than this Act. such manner and form as the United States Central Authority may prescribe by regulation and shall be accompanied or supported by such documents as the United States Central Authority may require. Authority may not disclose that information under subsection (a). of subsection (c) of this section. incurred in participating at meetings of the interagency coordinating group at rates not to exceed those authorized under subchapter 1 of chapter 57 of title 5, United States Code, for employees of agencies. WHEREABOUTS OF PARENT OR CHILD. purposes of the Convention and this Act. HOUSE REPORTS: No. 100-525 (Comm. on the Judiciary). Apr. 12, considered and passed Senate, amended. Apr. 25, House concurred in Senate amendment. 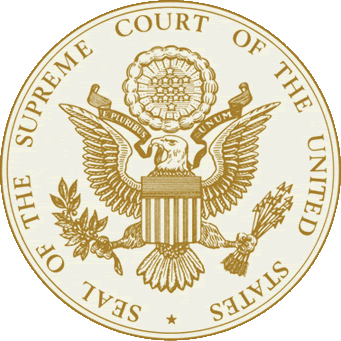 Here is the full text of the U.S. Supreme Court’s ruling on an international child custody case which involves the intersection of the Hague Convention on the Civil Aspects of International Child Abduction and the U.S. Statute, International Child Abduction Remedies Act (ICARA). This case presents, as it has from its inception in the United States District Court, a question of interpretation under the Hague Convention on the Civil Aspects of International Child Abduction (Convention), Oct. 24, 1980, T. I. A. S. No. 11670, S. Treaty Doc. No. 99–11. The United States is a contracting state to the Convention; and Congress has implemented its provisions through the International Child Abduction Remedies Act (ICARA), 102 Stat. 437, 42 U. S. C. §11601 et seq. The Convention provides that a child abducted in violation of “rights of custody” must be returned to the child’s country of habitual residence, unless certain exceptions apply. Art. 1, S. Treaty Doc. No. 99–11, at 7 (Treaty Doc.). The question is whether a parent has a “righ[t] of custody” by reason of that parent’s ne exeat right: the authority to consent before the other parent may take the child to another country. Timothy Abbott and Jacquelyn Vaye Abbott married in England in 1992. He is a British citizen, and she is a citizen of the United States. Mr. Abbott’s astronomy profession took the couple to Hawaii, where their son A. J. A. was born in 1995. The Abbotts moved to La Serena, Chile, in 2002. There was marital discord, and the parents separated in March 2003. The Chilean courts granted the mother daily care and control of the child, while awarding the father “direct and regular” visitation rights, including visitation every other weekend and for the whole month of February each year. App. 9. Chilean law conferred upon Mr. Abbott what is commonly known as a ne exeat right: a right to consent before Ms. Abbott could take A. J. A. out of Chile. See Minors Law 16,618, art. 49 (Chile), App. to Pet. for Cert. 61a (granting a ne exeat right to any parent with visitation rights). In effect a ne exeat right imposes a duty on one parent that is a right in the other. After Mr. Abbott obtained a British passport for A. J. A., Ms. Abbott grew concerned that Mr. Abbott would take the boy to Britain. She sought and obtained a “ne exeat of the minor” order from the Chilean family court, prohibiting the boy from being taken out of Chile. In August 2005, while proceedings before the Chilean court were pending, the mother removed the boy from Chile without permission from either the father or the court. A private investigator located the mother and the child in Texas. In February 2006, the mother filed for divorce in Texas state court. Part of the relief she sought was a modification of the father’s rights, including full power in her to determine the boy’s place of residence and an order limiting the father to supervised visitation in Texas. This litigation remains pending. Mr. Abbott brought an action in Texas state court, asking for visitation rights and an order requiring Ms. Abbott to show cause why the court should not allow Mr. Abbott to return to Chile with A. J. A. In February 2006, the court denied Mr. Abbott’s requested relief but granted him “liberal periods of possession” of A. J. A. throughout February 2006, provided Mr. Abbott remained in Texas. App. 42. In May 2006, Mr. Abbott filed the instant action in the United States District Court for the Western District of Texas. He sought an order requiring his son’s return to Chile pursuant to the Convention and enforcement provisions of the ICARA. In July 2007, after holding a bench trial during which only Mr. Abbott testified, the District Court denied relief. The court held that the father’s ne exeat right did not constitute a right of custody under the Convention and, as a result, that the return remedy was not authorized. 495 F. Supp. 2d 635, 640. The United States Court of Appeals for the Fifth Circuit affirmed on the same rationale. The court held the father possessed no rights of custody under the Convention because hisne exeat right was only “a veto right over his son’s departure from Chile.” 542 F. 3d 1081, 1087 (2008). The court expressed substantial agreement with the Court of Appeals for the Second Circuit in Croll v. Croll , 229 F. 3d 133 (2000). Relying on American dictionary definitions of “custody” and noting that ne exeat rights cannot be “ ‘actually exercised’ ” within the meaning of the Convention, Croll held that ne exeat rights are not rights of custody. Id., at 138–141 (quoting Art. 3 (b) , Treaty Doc., at 7). A dissenting opinion in Crollwas filed by then-Judge Sotomayor. The dissent maintained that a ne exeat right is a right of custody because it “provides a parent with decisionmaking authority regarding a child’s international relocation.” 229 F. 3d , at 146. The Courts of Appeals for the Fourth and Ninth Circuits adopted the conclusion of theCroll majority. See Fawcett v. McRoberts , 326 F. 3d 491, 500 (CA4 2003); Gonzalez v.Gutierrez , 311 F. 3d 942, 949 (CA9 2002). The Court of Appeals for the Eleventh Circuit has followed the reasoning of the Croll dissent. Furnes v. Reeves , 362 F. 3d 702, 720, n. 15 (2004). Certiorari was granted to resolve the conflict. 557 U. S. ___ (2009). The Convention was adopted in 1980 in response to the problem of international child abductions during domestic disputes. The Convention seeks “to secure the prompt return of children wrongfully removed to or retained in any Contracting State,” and “to ensure that rights of custody and of access under the law of one Contracting State are effectively respected in the other Contracting States.” Art. 1, Treaty Doc., at 7. “ b at the time of removal or retention those rights were actually exercised, either jointly or alone, or would have been so exercised but for the removal or retention. “ b ‘rights of access’ shall include the right to take a child for a limited period of time to a place other than the child’s habitual residence. “Article 12: Where a child has been wrongfully removed or retained in terms of Article 3 … the authority concerned shall order the return of the child forthwith.” Id., at 7, 9. The Convention’s central operating feature is the return remedy. When a child under the age of 16 has been wrongfully removed or retained, the country to which the child has been brought must “order the return of the child forthwith,” unless certain exceptions apply. See,e.g., Arts. 4, 12, ibid. A removal is “wrongful” where the child was removed in violation of “rights of custody.” The Convention defines “rights of custody” to “include rights relating to the care of the person of the child and, in particular, the right to determine the child’s place of residence.” Art. 5 (a) , id., at 7. A return remedy does not alter the pre-abduction allocation of custody rights but leaves custodial decisions to the courts of the country of habitual residence. Art. 19, id., at 11. The Convention also recognizes “rights of access,” but offers no return remedy for a breach of those rights. Arts. 5 (b) , 21, id., at 7, 11. The United States has implemented the Convention through the ICARA. The statute authorizes a person who seeks a child’s return to file a petition in state or federal court and instructs that the court “shall decide the case in accordance with the Convention.” 42 U. S. C. §§11603(a), (b), (d). If the child in question has been “wrongfully removed or retained within the meaning of the Convention,” the child shall be “promptly returned,” unless an exception is applicable. §11601(a)(4). As the parties agree, the Convention applies to this dispute. A. J. A. is under 16 years old; he was a habitual resident of Chile; and both Chile and the United States are contracting states. The question is whether A. J. A. was “wrongfully removed” from Chile, in other words, whether he was removed in violation of a right of custody. This Court’s inquiry is shaped by the text of the Convention; the views of the United States Department of State; decisions addressing the meaning of “rights of custody” in courts of other contracting states; and the purposes of the Convention. After considering these sources, the Court determines that Mr. Abbott’s ne exeat right is a right of custody under the Convention. Chilean law granted Mr. Abbott a joint right to decide his child’s country of residence, otherwise known as a ne exeat right. Minors Law 16,618, art. 49 (Chile), App. to Pet. for Cert. 61a, 62a, provides that “[o]nce the court has decreed” that one of the parents has visitation rights, that parent’s “authorization … shall also be required” before the child may be taken out of the country, subject to court override only where authorization “cannot be granted or is denied without good reason.” Mr. Abbott has “direct and regular” visitation rights and it follows from Chilean law, that he has a shared right to determine his son’s country of residence under this provision. App. 9. To support the conclusion that Mr. Abbott’s right under Chilean law gives him a joint right to decide his son’s country of residence, it is notable that a Chilean agency has explained that Minors Law 16,618 is a “right to authorize the minors’ exit” from Chile and that this provision means that neither parent can “unilaterally” “establish the [child’s] place of residence.” Letter from Paula Strap Camus, Director General, Corporation of Judicial Assistance of the Region Metropolitana, to National Center for Missing and Exploited Children (Jan. 17, 2006), App. to Pet. for Cert. in Villegas Duran v. Arribada Beaumont , No. 08–775, pp. 35a–37a, cert. pending. Mr. Abbott’s joint right to decide A. J. A.’s country of residence allows him to “determine the child’s place of residence.” The phrase “place of residence” encompasses the child’s country of residence, especially in light of the Convention’s explicit purpose to prevent wrongful removal across international borders. See Convention Preamble, Treaty Doc., at 7. And even if “place of residence” refers only to the child’s street address within a country, ane exeat right still entitles Mr. Abbott to “determine” that place. “[D]etermine” can mean “[t]o fix conclusively or authoritatively,” Webster’s New International Dictionary 711 (2d ed. 1954) (2d definition), but it can also mean “[t]o set bounds or limits to,” ibid. (1st definition), which is what Mr. Abbott’s ne exeat right allows by ensuring that A. J. A. cannot live at any street addresses outside of Chile. It follows that the Convention’s protection of a parent’s custodial “right to determine the child’s place of residence” includes a ne exeatright. Mr. Abbott’s joint right to determine A. J. A.’s country of residence also gives him “rights relating to the care of the person of the child.” Art. 5 (a) , Treaty Doc., at 7. Few decisions are as significant as the language the child speaks, the identity he finds, or the culture and traditions she will come to absorb. These factors, so essential to self-definition, are linked in an inextricable way to the child’s country of residence. One need only consider the different childhoods an adolescent will experience if he or she grows up in the United States, Chile, Germany, or North Korea, to understand how choosing a child’s country of residence is a right “relating to the care of the person of the child.” The Court of Appeals described Mr. Abbott’s right to take part in making this decision as a mere “veto,” 542 F. 3d, at 1087; but even by that truncated description, the father has an essential role in deciding the boy’s country of residence. For example, Mr. Abbott could condition his consent to a change in country on A. J. A.’s moving to a city outside Chile where Mr. Abbott could obtain an astronomy position, thus allowing the father to have continued contact with the boy. That a ne exeat right does not fit within traditional notions of physical custody is beside the point. The Convention defines “rights of custody,” and it is that definition that a court must consult. This uniform, text-based approach ensures international consistency in interpreting the Convention. It forecloses courts from relying on definitions of custody confined by local law usage, definitions that may undermine recognition of custodial arrangements in other countries or in different legal traditions, including the civil-law tradition. And, in any case, our own legal system has adopted conceptions of custody that accord with the Convention’s broad definition. Joint legal custody, in which one parent cares for the child while the other has joint decisionmaking authority concerning the child’s welfare, has become increasingly common. See Singer, Dispute Resolution and the Postdivorce Family: Implications of a Paradigm Shift, 47 Family Ct. Rev. 363, 366 (2009) (“[A] recent study of child custody outcomes in North Carolina indicated that almost 70% of all custody resolutions included joint legal custody, as did over 90% of all mediated custody agreements”); E. Maccoby & R. Mnookin, Dividing the Child: Social and Legal Dilemmas of Custody 107 (1992) (“[F]or 79% of our entire sample, the [California] divorce decree provided for joint legal custody”); see generally Elrod, Reforming the System to Protect Children in High Conflict Custody Cases, 28 Wm. Mitchell L. Rev. 495, 505–508 (2001). Ms. Abbott gets the analysis backwards in claiming that a ne exeat right is not a right of custody because the Convention requires that any right of custody must be capable of exercise. The Convention protects rights of custody when “at the time of removal or retention those rights were actually exercised, either jointly or alone, or would have been so exercised but for the removal or retention.” Art. 3 (b) , Treaty Doc., at 7. In cases like this one, a ne exeat right is by its nature inchoate and so has no operative force except when the other parent seeks to remove the child from the country. If that occurs, the parent can exercise the ne exeat right by declining consent to the exit or placing conditions to ensure the move will be in the child’s best interests. When one parent removes the child without seeking the ne exeat holder’s consent, it is an instance where the right would have been “exercised but for the removal or retention.” Ibid. The Court of Appeals’ conclusion that a breach of a ne exeat right does not give rise to a return remedy would render the Convention meaningless in many cases where it is most needed. The Convention provides a return remedy when a parent takes a child across international borders in violation of a right of custody. The Convention provides no return remedy when a parent removes a child in violation of a right of access but requires contracting states “to promote the peaceful enjoyment of access rights.” Art. 21, id., at 11. For example, a court may force the custodial parent to pay the travel costs of visitation, see,e.g., Viragh v. Foldes , 415 Mass. 96, 109–111, 612 N. E. 2d 241, 249–250 (1993), or make other provisions for the noncustodial parent to visit his or her child, see §11603(b) (authorizing petitions to “secur[e] the effective exercise of rights of access to a child”). But unlike rights of access, ne exeat rights can only be honored with a return remedy because these rights depend on the child’s location being the country of habitual residence. Any suggestion that a ne exeat right is a “righ[t] of access” is illogical and atextual. The Convention defines “rights of access” as “includ[ing] the right to take a child for a limited period of time to a place other than the child’s habitual residence,” Art. 5 (b) , Treaty Doc., at 7, and ICARA defines that same term as “visitation rights,” §11602(7). The joint right to decide a child’s country of residence is not even arguably a “right to take a child for a limited period of time” or a “visitation righ[t].” Reaching the commonsense conclusion that ane exeat right does not fit these definitions of “rights of access” honors the Convention’s distinction between rights of access and rights of custody. Ms. Abbott argues that the ne exeat order in this case cannot create a right of custody because it merely protects a court’s jurisdiction over the child. Even if this argument were correct, it would not be dispositive. Ms. Abbott contends the Chilean court’s ne exeat order contains no parental consent provision and so awards the father no rights, custodial or otherwise. See Brief for Respondent 22; but see 495 F. Supp. 2d, at 638, n. 3 (the District Court treating the order as containing a consent provision); 542 F. 3d, at 1084 (same for the Court of Appeals). Even a ne exeat order issued to protect a court’s jurisdiction pending issuance of further decrees is consistent with allowing a parent to object to the child’s removal from the country. This Court need not decide the status of ne exeat orders lacking parental consent provisions, however; for here the father relies on his rights under Minors Law 16,618. Mr. Abbott’s rights derive not from the order but from Minors Law 16,618. That law requires the father’s consent before the mother can remove the boy from Chile, subject only to the equitable power family courts retain to override any joint custodial arrangements in times of disagreement. Minors Law 16,618; see 1 J. Atkinson, Modern Child Custody Practice §6–11 (2d ed. 2009) (“[T]he court remains the final arbiter and may resolve the [dispute between joint custodians] itself or designate one parent as having final authority on certain issues affecting the child”); Lombardo v. Lombardo , 202 Mich. App. 151, 159, 507 N. W. 2d 788, 792 (1993) (“[W]here the parents as joint custodians cannot agree on important matters such as education, it is the court’s duty to determine the issue in the best interests of the child”). The consent provision in Minors Law 16,618 confers upon the father the joint right to determine his child’s country of residence. This is a right of custody under the Convention. This Court’s conclusion that Mr. Abbott possesses a right of custody under the Convention is supported and informed by the State Department’s view on the issue. The United States has endorsed the view that ne exeat rights are rights of custody. In its brief before this Court the United States advises that “the Department of State, whose Office of Children’s Issues serves as the Central Authority for the United States under the Convention, has long understood the Convention as including ne exeat rights among the protected ‘rights of custody.’ ” Brief for United States as Amicus Curiae 21; see Sumitomo Shoji America, Inc. v.Avagliano , 457 U. S. 176 , n. 10 (1982) (deferring to the Executive’s interpretation of a treaty as memorialized in a brief before this Court). It is well settled that the Executive Branch’s interpretation of a treaty “is entitled to great weight.” Id., at 185. There is no reason to doubt that this well-established canon of deference is appropriate here. The Executive is well informed concerning the diplomatic consequences resulting from this Court’s interpretation of “rights of custody,” including the likely reaction of other contracting states and the impact on the State Department’s ability to reclaim children abducted from this country. This Court’s conclusion that ne exeat rights are rights of custody is further informed by the views of other contracting states. In interpreting any treaty, “[t]he ‘opinions of our sister signatories’ … are ‘entitled to considerable weight.’ ” El Al Israel Airlines, Ltd. v. Tsui Yuan Tseng , 525 U. S. 155, 176 (1999) (quoting Air France v. Saks , 470 U. S. 392, 404 (1985) ). The principle applies with special force here, for Congress has directed that “uniform international interpretation of the Convention” is part of the Convention’s framework. See §11601(b)(3)(B). A review of the international case law confirms broad acceptance of the rule that ne exeat rights are rights of custody. In an early decision, the English High Court of Justice explained that a father’s “right to ensure that the child remain[ed] in Australia or live[d] anywhere outside Australia only with his approval” is a right of custody requiring return of the child to Australia. C. v. C. ,  1 W. L. R. 654, 658 (C. A.). Lords of the House of Lords have agreed, noting that C. v. C. ’s conclusion is “settled, so far as the United Kingdom is concerned” and “appears to be the majority [view] of the common law world.” See In re D (A Child) ,  1 A. C. 619, 628, 633, 635 (2006). The Supreme Court of Israel follows the same rule, concluding that “the term ‘custody’ should be interpreted in an expansive way, so that it will apply [i]n every case in which there is a need for the consent of one of the parents to remove the children from one country to another.” CA 5271/92 Foxman v. Foxman , , §§3(D), 4 (K. Chagall transl.). The High Courts of Austria, South Africa, and Germany are in accord. See Oberster Gerichtshof [O. G. H.] [Supreme Court] Feb. 5, 1992, 2 Ob 596/91 (Austria) (“Since the English Custody Court had ordered that the children must not be removed from England and Wales without the father’s written consent, both parents had, in effect, been granted joint custody concerning the children’s place of residence”); Sonderup v. Tondelli , 2001(1) SA 1171, 1183 (Constitutional Ct. of South Africa 2000) (“[The mother’s] failure to return to British Columbia with the child … was a breach of the conditions upon which she was entitled to exercise her rights of custody and … therefore constituted a wrongful retention … as contemplated by [Article 3] of the Convention”); Bundesverfassungsgericht [BVerfG] [Federal Constitutional Court of Germany] July 18, 1997, 2 BvR 1126/97, ¶15 (the Convention requires a return remedy for a violation of the “right to have a say in the child’s place of residence”). Appellate courts in Australia and Scotland agree. See In the Marriage of Resina FamCA 33 (Austl., May 22, 1991), ¶¶18–27; A. J. v. F. J. ,  CSIH 36, 2005 1 S. C. 428, 435–436. It is true that some courts have stated a contrary view, or at least a more restrictive one. The Canadian Supreme Court has said ne exeat orders are “usually intended” to protect access rights. Thomson v. Thomson,  3 S. C. R. 551, 589–590, 119 D. L. R. (4th) 253, 281; see D. S. v. V. W. ,  2 S. C. R. 108, 134 D. L. R. (4th) 481. But the Canadian cases are not precisely on point here. Thomson ordered a return remedy based on an interim ne exeatorder, and only noted in dicta that it may not order such a remedy pursuant to a permanentne exeat order. See  3 S. C. R., at 589–590, 119 D. L. R. (4th), at 281. D. S. involved a parent’s claim based on an implicit ne exeat right and, in any event, the court ordered a return remedy on a different basis. See  2 S. C. R., at 140–141, 142, 134 D. L. R. (4th), at 503–504, 505. French courts are divided. A French Court of Appeals held that “the right to accept or refuse the removal of the children’s residence” outside of a region was “a joint exercise of rights of custody.” Public Ministry v. M. B. , [CA] Aix-en-Provence, 6e ch., Mar. 23, 1989, Rev. crit. dr. internat. Privé 79(3), July–Sept. 1990, 529, 533–535. A trial court in a different region of France rejected this view, relying on the mother’s “fundamental liberty” to establish her domicil. See Attorney for the Republic at Périgueux v. Mrs. S. , [T. G. I.] Périgueux, Mar. 17, 1992, Rev. cr. dr. internat. Privé 82(4) Oct.–Dec. 1993, 650, 651–653, note Bertrand Ancel, D. 1992, note G. C.
Scholars agree that there is an emerging international consensus that ne exeat rights are rights of custody, even if that view was not generally formulated when the Convention was drafted in 1980. At that time, joint custodial arrangements were unknown in many of the contracting states, and the status of ne exeat rights was not yet well understood. See 1980 Conférence de La Haye de droit international privé, Enlvement d’enfants, morning meeting of Wed., Oct. 8, 1980 (discussion by Messrs. Leal & van Boeschoten), in 3 Actes et Documents de la Quatorzime session, pp. 263–266 (1982) (Canadian and Dutch delegates disagreeing whether the Convention protected ne exeat rights, while agreeing that it should protect such rights). Since 1980, however, joint custodial arrangements have become more common. See supra , at 8–9. And, within this framework, most contracting states and scholars now recognize that ne exeat rights are rights of custody. See, e.g., Hague Conference on Private International Law: Transfrontier Contact Concerning Children: General Principles and Guide to Good Practice §9.3, p. 43 (2008) (“[P]reponderance of the case law supports the view” that ne exeat rights are “rights of custody” (footnote omitted)); Hague Conference on Private International Law: Overall Conclusions of the Special Commission of Oct. 1989 on the Operation of the Hague Convention of 25 Oct. 1980 on the Civil Aspects of International Child Abduction, reprinted in 29 I. L. M. 219, 222, ¶9 (1990); Hague Conference on Private International Law: Report of the Second Special Commission Meeting to Review the Operation of the Hague Convention on the Civil Aspects of International Child Abduction 11 (1993), reprinted in 33 I. L. M. 225 (1994); Silberman, The Hague Child Abduction Convention Turns Twenty: Gender Politics and Other Issues, 33 N. Y. U. J. Int’l L. & Pol. 221, 226–232, and n. 13 (2000); Whitman, Croll v. Croll: The Second Circuit Limits “Custody Rights” Under the Hague Convention on the Civil Aspects of International Child Abduction, 9 Tulane J. Int’l & Comp. L. 605, 611–616 (2001). A history of the Convention, known as the Pérez-Vera Report, has been cited both by the parties and by Courts of Appeals that have considered this issue. See 1980 Conférence de La Haye de droit international privé, Enlvement d’enfants, E. Pérez-Vera, Explanatory Report (Pérez-Vera Report or Report), in 3 Actes et Documents de la Quatorzime session, pp. 425–473 (1982). We need not decide whether this Report should be given greater weight than a scholarly commentary. Compare Hague International Child Abduction Convention; Text and Legal Analysis, 51 Fed. Reg. 10503–10506 (1986) (identifying the Report as the “official history” of the Convention and “a source of background on the meaning of the provisions of the Convention”), with Pérez-Vera Report ¶8, at 427–428 (“[the Report] has not been approved by the Conference, and it is possible that, despite the Rapporter’s [sic] efforts to remain objective, certain passages reflect a viewpoint which is in part subjective”). It suffices to note that the Report supports the conclusion that ne exeat rights are rights of custody. The Report explains that rather than defining custody in precise terms or referring to the laws of different nations pertaining to parental rights, the Convention uses the unadorned term “rights of custody” to recognize “ all the ways in which custody of children can be exercised” through “a flexible interpretation of the terms used, which allows the greatest possible number of cases to be brought into consideration.” Id., ¶¶67, 71, at 446, 447–448. Thus the Report rejects the notion that because ne exeat rights do not encompass the right to make medical or some other important decisions about a child’s life they cannot be rights of custody. Indeed, the Report is fully consistent with the conclusion that ne exeatrights are just one of the many “ways in which custody of children can be exercised.” Id., ¶ 71, at 447. Adopting the view that the Convention provides a return remedy for violations ofne exeat rights accords with its objects and purposes. The Convention is based on the principle that the best interests of the child are well served when decisions regarding custody rights are made in the country of habitual residence. See Convention Preamble, Treaty Doc., at 7. Ordering a return remedy does not alter the existing allocation of custody rights, Art. 19, id., at 11, but does allow the courts of the home country to decide what is in the child’s best interests. It is the Convention’s premise that courts in contracting states will make this determination in a responsible manner. Custody decisions are often difficult. Judges must strive always to avoid a common tendency to prefer their own society and culture, a tendency that ought not interfere with objective consideration of all the factors that should be weighed in determining the best interests of the child. This judicial neutrality is presumed from the mandate of the Convention, which affirms that the contracting states are “[f]irmly convinced that the interests of children are of paramount importance in matters relating to their custody.” Convention Preamble, Treaty Doc., at 7. International law serves a high purpose when it underwrites the determination by nations to rely upon their domestic courts to enforce just laws by legitimate and fair proceedings. To interpret the Convention to permit an abducting parent to avoid a return remedy, even when the other parent holds a ne exeat right, would run counter to the Convention’s purpose of deterring child abductions by parents who attempt to find a friendlier forum for deciding custodial disputes. Ms. Abbott removed A. J. A. from Chile while Mr. Abbott’s request to enhance his relationship with his son was still pending before Chilean courts. After she landed in Texas, the mother asked the state court to diminish or eliminate the father’s custodial and visitation rights. The Convention should not be interpreted to permit a parent to select which country will adjudicate these questions by bringing the child to a different country, in violation of a ne exeat right. Denying a return remedy for the violation of such rights would “legitimize the very action—removal of the child—that the home country, through its custody order [or other provision of law], sought to prevent” and would allow “parents to undermine the very purpose of the Convention.” Croll , 229 F. 3d, at 147 (Sotomayor, J., dissenting). This Court should be most reluctant to adopt an interpretation that gives an abducting parent an advantage by coming here to avoid a return remedy that is granted, for instance, in the United Kingdom, Israel, Germany, and South Africa. See supra , at 12–13. Requiring a return remedy in cases like this one helps deter child abductions and respects the Convention’s purpose to prevent harms resulting from abductions. An abduction can have devastating consequences for a child. “Some child psychologists believe that the trauma children suffer from these abductions is one of the worst forms of child abuse.” H. R. Rep. No. 103–390, p. 2 (1993). A child abducted by one parent is separated from the second parent and the child’s support system. Studies have shown that separation by abduction can cause psychological problems ranging from depression and acute stress disorder to posttraumatic stress disorder and identity-formation issues. See N. Faulkner, Parental Child Abduction is Child Abuse (1999), http://www.prevent-abuse-now.com/unreport.htm (as visited May 13, 2010, and available in Clerk of Court’s case file). A child abducted at an early age can experience loss of community and stability, leading to loneliness, anger, and fear of abandonment. See Huntington, Parental Kidnapping: A New Form of Child Abuse (1982), in American Prosecutors Research Institute’s National Center for Prosecution of Child Abuse, Parental Abduction Project, Investigation and Prosecution of Parental Abduction (1995) (App. A). Abductions may prevent the child from forming a relationship with the left-behind parent, impairing the child’s ability to mature. See Faulkner, supra , at 5. While a parent possessing a ne exeat right has a right of custody and may seek a return remedy, a return order is not automatic. Return is not required if the abducting parent can establish that a Convention exception applies. One exception states return of the child is not required when “there is a grave risk that his or her return would expose the child to physical or psychological harm or otherwise place the child in an intolerable situation.” Art. 13 (b) , Treaty Doc., at 10. If, for example, Ms. Abbott could demonstrate that returning to Chile would put her own safety at grave risk, the court could consider whether this is sufficient to show that the child too would suffer “psychological harm” or be placed “in an intolerable situation.” See, e.g., Baran v. Beaty , 526 F. 3d 1340, 1352–1353 (CA11 2008); Walsh v. Walsh, 221 F. 3d 204, 220–221 (CA1 2000). The Convention also allows courts to decline to order removal if the child objects, if the child has reached a sufficient “age and degree of maturity at which it is appropriate to take account of its views.” Art. 13 (b) , Treaty Doc., at 10. The proper interpretation and application of these and other exceptions are not before this Court. These matters may be addressed on remand. The U.S. Supreme court granted a father’s request in an international child custody case. The short version is Mom and Dad are in Chile, and have a typical child visitation plan, she had what is called primary physical custody, the daily care and control, and he had a visitation schedule or parenting plan. They held joint legal custody, meaning each had a right to the child’s medical and school records, and a right to determine where the child lived. Mom moved to Texas, but claims that since she had primary physical custody she had the SOLE right to make the determination as to where the would live. The Chilean Court disagreed with mom, and said she cannot move without dad’s permission. The U.S. Supreme court agreed with Chile under the Hague Convention on Civil Aspects of Child Custody to which both the United States of America and Chile are signatories, and the International Child Abduction Remedies Act (ICARA) which is U.S. law. If another state or country has made a determination about child custody, the California courts do not have jurisdiction over the case, unless the child is in the state of California AND there is a risk to the child’s health and well-being. In that case, under California Family Code Section 3424, a lawyer or party may move the court to make Emergency Jurisdiction orders to protect the child. subjected to, or threatened with, mistreatment or abuse. We have successfully used this section to have a court make orders that were in the best interest of the child, even though there was a foreign child custody order in place.